Burning Ambulance’s week-long countdown of the year’s best jazz albums concludes with the top five. Here we go! Alto saxophonist Mike DiRubbo‘s latest album features trumpeter Josh Evans, organist Brian Charette (on piano here), bassist Ugonna Okegwo, and drummer Rudy Royston. DiRubbo and Charette are a well-matched pair; the saxophonist’s inclination is to stay in a relatively melodic, lyrical zone, and the keyboardist provides a solid chordal foundation for him. The tunes, all of which are by DiRubbo except for an album-closing version of Charlie Parker‘s “Bloomdido,” have the exploratory hard bop feel of pieces from mid ’60s Blue Note albums. Despite its title, Threshold is not an album intended to take the listener into new realms. Mike DiRubbo is a player and composer in love with jazz as it is, not jazz as it might be. He’s the best kind of traditionalist: neither nostalgia-obsessed nor a fogey, just a guy with a sound that’s his own, yet easily identifiable as part of a decades-long continuum. 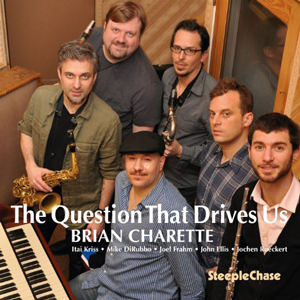 Brian Charette returns to his usual instrument, the organ, on this progressive, spacious album featuring a sextet: Itai Kriss on flute, Joel Frahm on tenor saxophone, Mike DiRubbo on alto saxophone, John Ellis on bass clarinet, and Jochen Rueckert on drums. Though the album moves in various directions, from strutting 70s-indebted crime funk to atmospheric balladry, the presence of four horns atop nothing but organ and drums makes for a fascinating, and sometimes unsettling (in a good way) listen. The melodies are strong, and exercise a great deal of control over the turns the solos take, and when all four front-line voices are heard together, the feeling is lush and romantic. The opening “Blazinec” and the closing version of “Moose the Mooche” bracket the album perfectly, the former piece shifting and adventurous while the latter is a hard-swinging bebop romp with witty solos all around. Music this surprising and cool deserves the largest audience possible. 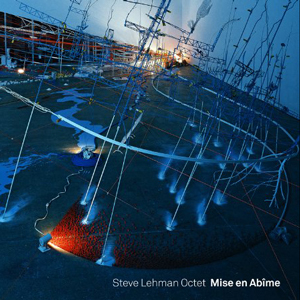 Composer and alto saxophonist Steve Lehman‘s octet includes Jonathan Finlayson on trumpet, Mark Shim on tenor sax, Tim Albright on trombone, Chris Dingman on vibraphone, Jose Davila on tuba, Drew Gress on bass, and Tyshawn Sorey on drums. Lehman, who’s also a classical composer, employs techniques in his playing and his compositions that will be very familiar to fans of 21st Century modern(ist) jazz—melody lines are long and overlapping, and rhythms are more likely to head in the direction of chopped-up funk, approaching drum ‘n’ bass at times, than bluesy swing. But there are plenty of pastoral elements, too, especially the way Davila’s tuba underpins Dingman’s atmospheric vibes. And while connections can be drawn to the music of Anthony Braxton, there’s also a bright line to be traced between Mise en Abîme and some of the mid ’60s work of Jackie McLean, particularly his albums with trombonist Grachan Moncur III (on which vibraphonist Bobby Hutcherson featured prominently). Tenor saxophonist Jerome Sabbagh and his quartet have been together for a decade, and have developed a unique and powerful collective voice. 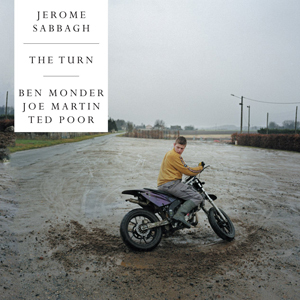 The primary focus is the interaction between Sabbagh and guitarist Ben Monder; he’s a fluid, multifaceted player capable of traditional jazz chording as well as jagged bursts of noise. Behind the two men, bassist Joe Martin and drummer Ted Poor provide a perfect foundation. Poor’s drumming in particular, with its sharp, ringing snare, blurs the line between jazz and ’90s hard rock. Sabbagh’s playing is slow and deliberate, and his melodies are more memorable than some of his peers’ elaborate harmonic backflips and overthought serpentine meanderings. Nothing he writes ever sounds like homework; at the same time, it’s never rote or clichéd. The Turn was recorded live to two-track tape, and has a clear, organic sound—the fabled “four guys in a room” feel. All of Sabbagh’s work is worth hearing, but The Turn really finds the quartet at a creative peak. Jemeel Moondoc is a truly underappreciated musician. His loose, humanistic sound on the alto saxophone, and his melodic focus and general disdain for chordal instrumentation, make his work unique and instantly recognizable. The Zookeeper’s House is his first studio album in over a decade, made with a fantastic collection of players: trombonist Steve Swell, trumpeter Roy Campbell (in his final recorded appearance), pianist Matthew Shipp, bassist Hilliard Greene, and drummer Newman Taylor Baker. They’re not all heard together. Shipp appears on the disc-opening title track and the nearly 13-minute “One for Monk and Trane”; the horns are on “Little Blue Elvira,” “For the Love of Cindy,” and a version of Alice Coltrane‘s “Ptah, the El Daoud.” The three-piece horn section gives his music a fullness in surprising contrast to the sharp, bluesy yet keening quality his albums have frequently had in the past, when he’s been out front all alone. 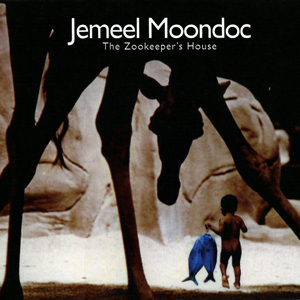 The Zookeeper’s House is easily one of Jemeel Moondoc‘s best albums, and a terrific reminder of his too-often-overlooked genius.